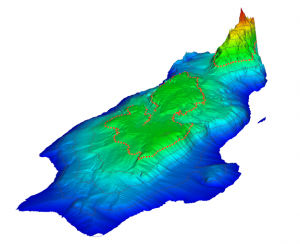 This example shows how to graph an island as a 3D surface plot, and to use special contour line to indicate a particular elevation. Download this OPJ file (2309_GeoSurface_NoAxis.zip, 437KB) to learn how to make this graph. As you can see in the below image, in the data matrix, the island is represented by positive values and ocean is represented by missing value. As you can see in the above image, speed mode will be on for this data by default. To increase the redraw speed of your graph layer, let’s keep the speed mode be on when you customize the graph with the below steps. Let’s now customize this graph, by double-clicking to open the Plot Details dialog. Click the Fill… header to open the Fill dialog. 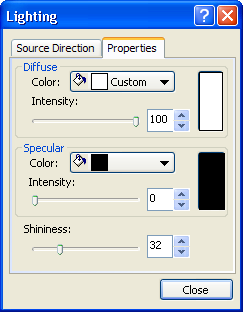 In the Fill dialog, select Introducing Other Colors in Mixing radio button and set the From and To color as Blue and Red. Go to the Mesh tab and deselect the Enable box to disable the mesh line. You can turn on lighting effect on your surface plot by clicking the yellow light bulb button on the Styles toolbar. 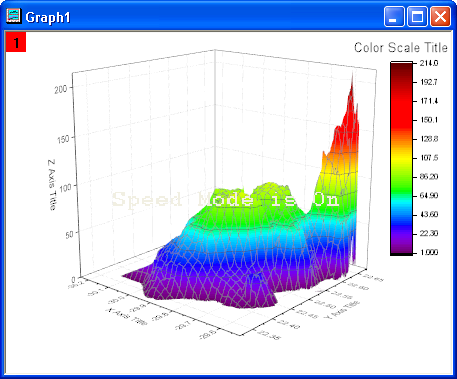 With the 3D graph active, click the button shown below. Alternatively, you may also turn on lighting from the Plot Details dialog in the Layer level. 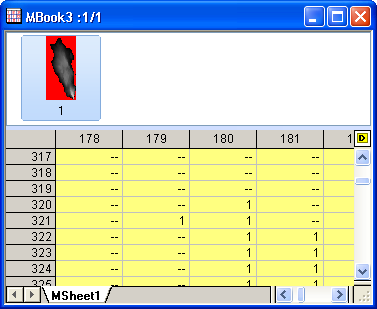 Double-click on the graph to open the Plot Details dialog. Select Layer1 in the left panel and go to the Lighting tab. Check the Directional in the Mode radio box and change the settings of lights. Open the Plot Details dialog. Select the plot in the left panel and go to Colormap/Contours tab. Click the contour line at the level of 80 to open the Line dialog and customize settings based on actual demand. Open the Plot Details dialog. 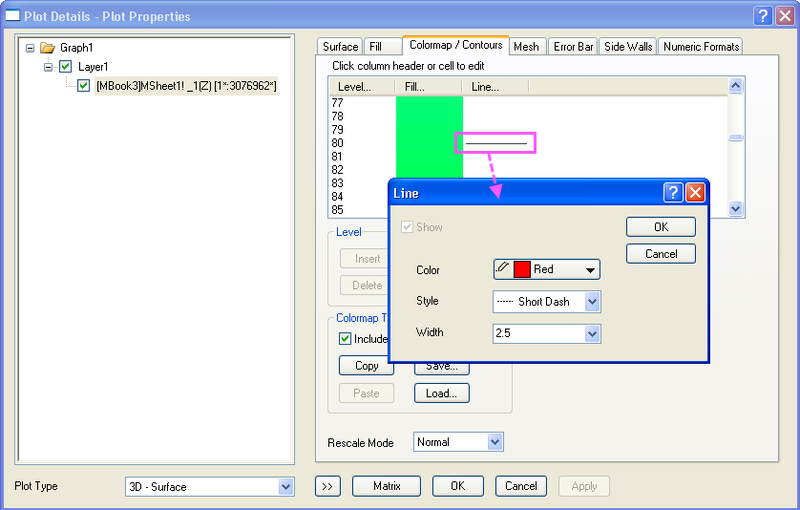 Select Layer1 in the left panel and go to the Planes tab, then uncheck the XY, YZ and ZX check box. Go to Display tab and uncheck the X Axes, Y Axes and Z Axes check box under the Show Elements group. Alternatively, you can also turn off the Speed Mode in the Plot Details dialog. After this, you will get the final graph as shown at the beginning of the blog.